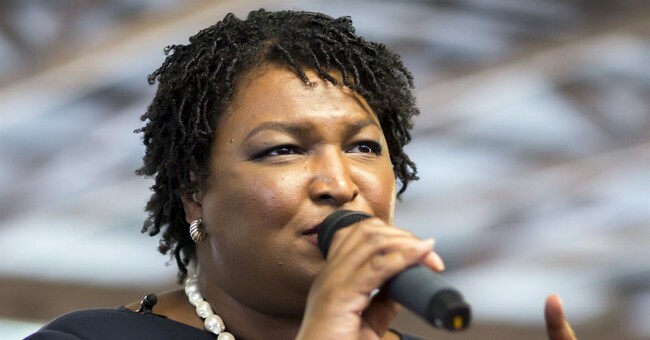 Failed Democratic Georgia gubernatorial candidate Stacey Abrams called legislation that bans abortion after the detection of a fetal heartbeat “evil” and “abominable,” in an interview with MSNBC Sunday. MSNBC host Joy Reid asked Abrams about the bill, which Gov. Brian Kemp (R) has promised to sign despite threats of a boycott of the state from the film industry. Reid inaccurately stated that Kemp had already signed the legislation. "People are pretty appalled by the fact that he just signed what is, I think, the most restrictive anti-abortion bill in the country,” Reid said, “so you have some folks that are talking boycott and are saying Hollywood should boycott the state of Georgia. Films—we know The Walking Dead is shot down there—there are lots of television programs and movies that are shot in Atlanta. What do you make of these calls to boycott the state of Georgia?" "I think it's a call to action and a call to attention," Abrams, a potential 2020 presidential hopeful, replied. "I do not actually support a boycott of our state. I think you re-victimize women in particular when you take away the jobs that have come to the state." However, Abrams went on to call the bill immoral and bad for business. “You should not have to worry about your ability to control your bodily autonomy because the governor has pushed such an abominable and evil bill that is so restrictive,” she emphasized. “It's not only bad for morality and our humanity, it's bad for business." He also complained that while Democrats seem interested in science, they ignore the science when it comes to fetal development. Heartbeat bills have gained momentum in state legislatures across the country but are controversial because the heartbeat can be detected as early as six weeks into pregnancy. Gov. Kemp is expected to sign the Georgia legislation and has until May 12th to do so.